R&S® Power Analyzer HMC8015-G ! !Special Offer!! 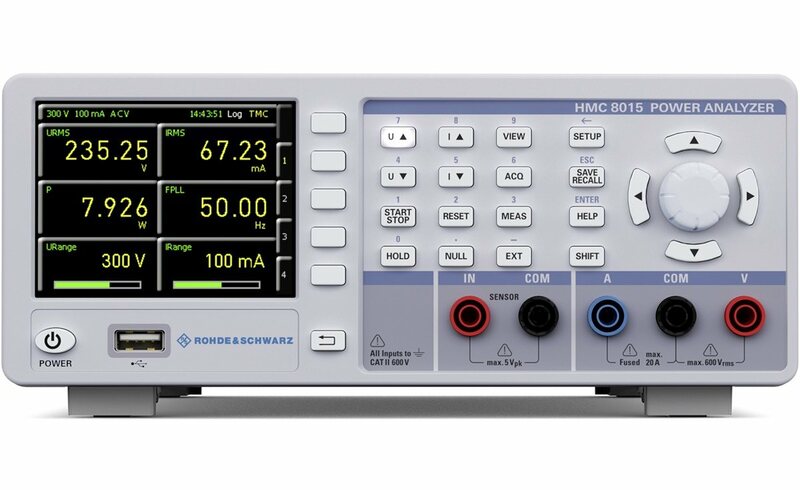 The R&S® HMC8015 power analyzer is the first compact tester for AC/DC load and standby current characterization that enables measurements without additional tools such as a computer or remote infrastructure. In addition to a numerical and graphical display with 26 key parameters, the instrument delivers performance and compliance protocols in line with IEC62301, EN50564 and EN61000-3-2. The power analyzer is the only instrument in its class that graphically displays harmonic analysis up to the 50th harmonic on the logarithmic scale. Its user‑configurable, dual‑channel trend chart function for U, I, P, S, Q and F etc. is unique as well. The instrument's 5 V measurement range provides embedded developers with a previously unattainable level of resolution for power and energy measurements. The R&S®HMC8015 also sets new standards when it comes to documentation. It simultaneously displays up to 10 user‑configurable measurands with a refresh rate of 10 measurements per second. A logging function makes it possible to store this data with a timestamp in CSV format for a nearly unlimited period of time. Screen content can also be saved to a USB flash drive anytime at the push of a button. A PASS/FAIL function enables users to monitor numerous measurands either on the instrument's display or externally via an analog/digital output on the rear panel. The inrush function captures and graphically displays inrush current and voltage waveforms. 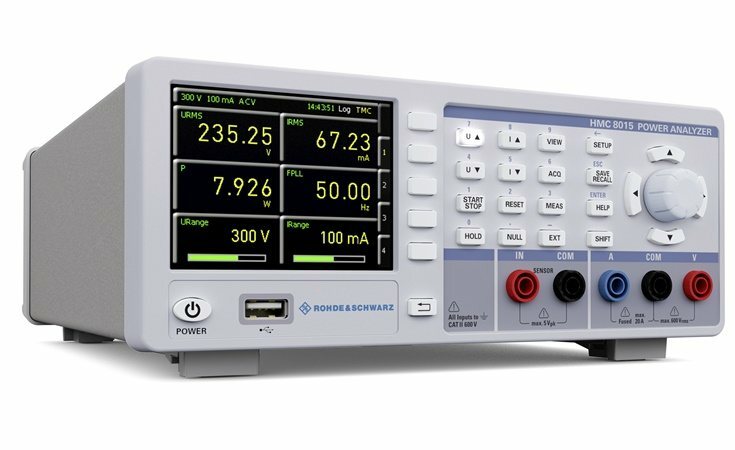 The instrument's standard hardware‑based integrator delivers highly precise, seamless power consumption analysis and adds up watt and ampere hours according to polarity. An additional sensor input for a current probe or shunt expands the tester's current measurement range as required. A three-stage filter in the voltage and cur‑ rent circuit of the acquisition system can be activated, if necessary. 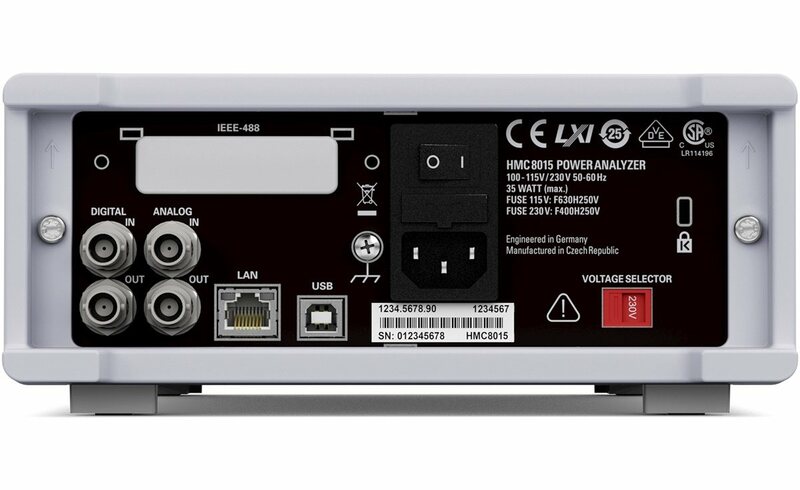 The LXI-Core 1.4‑compliant power analyzer can be remotely controlled via an Ethernet, USB or GPIB interface (R&S® HMC8015-G). The commands are based entirely on the SCPI standard. The virtual COM port and the test and measurement class (TMC) are supported for communi‑ cations via USB. 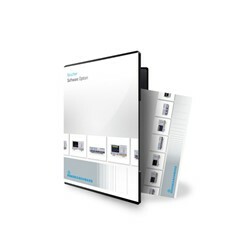 Cost‑free driver packages for LabVIEW, LabWindows/CVI, VXI and IVI.net are also available for fast, complication‑free integration of the R&S® HMC8015 into existing systems. **You will find the specifications of the HMC8015 series here. Advanced Analysis option for R&S® HMC8015. Advanced IO option for R&S® HMC8015. Compliance Test Option for RS®HMC8015. EU mains adapter for R&S® HMC8015 Power analyzer. UK mains adapter for R&S® HMC8015 Power analyzer. 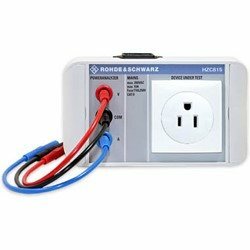 US mains adapter for R&S® HMC8015 Power analyzer.